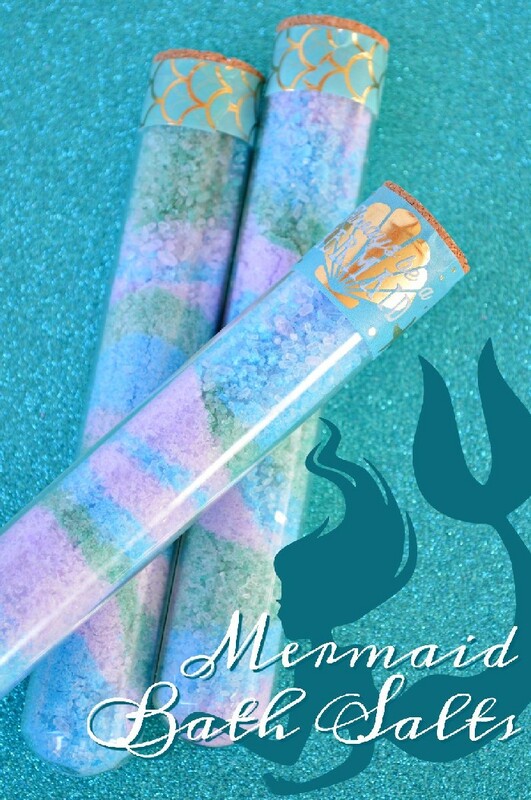 If you haven’t noticed, my projects this week have all been mermaid-themed. 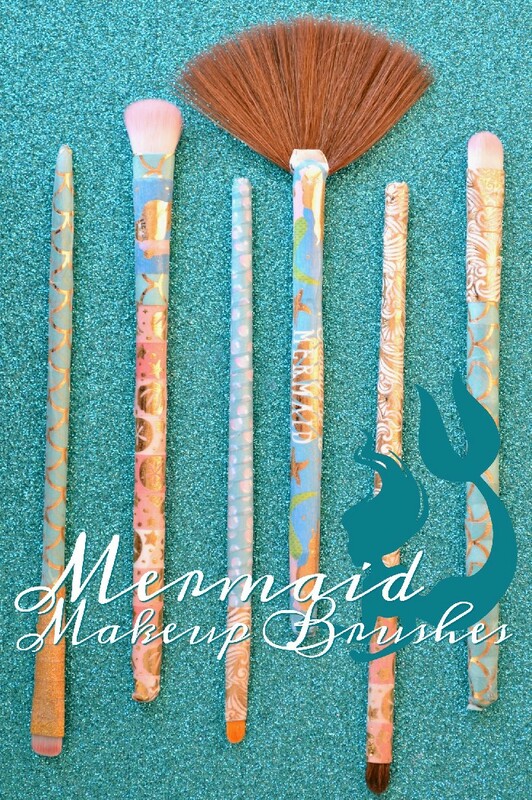 Once I started making mermaid projects, I kind of got carried away. 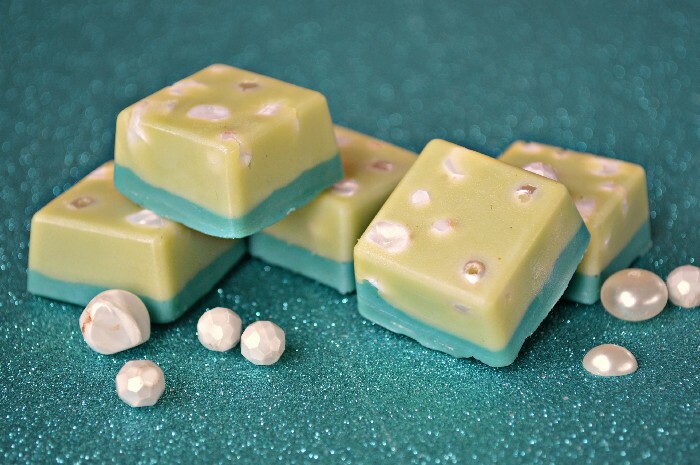 Today’s fun project puts a mermaid twist on standard lotion bars. 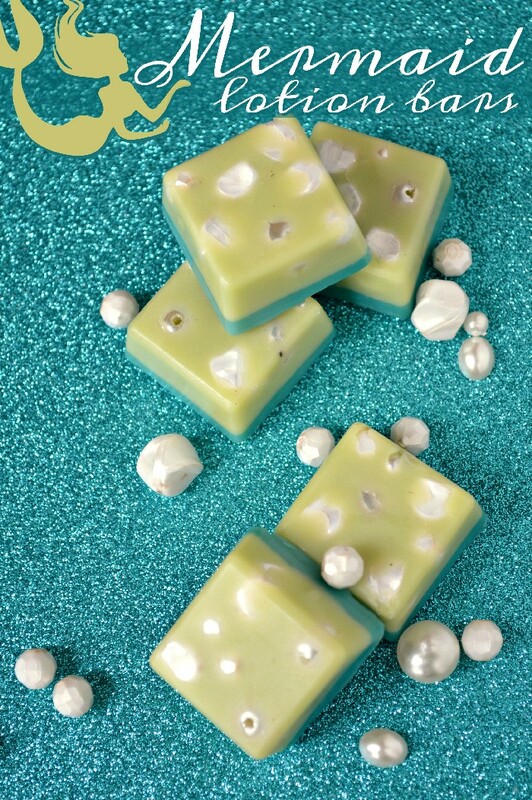 I mean, it just makes sense that mermaid lotion bars would be full of pearls, right? This video will take you through the simple process of making your own lotion bars, whether you choose to make them mermaid-themed or not. I release two new creative videos each week, so subscribe to my YouTube channel to make sure you don’t miss any of the fun! These lotion bars will last a few months if you keep them stored in cool, dark place. Just rub the bar on your skin and then message the oils in. The cosmetic pigments may leave a slight color on your skin when you first apply the bar, but it will disappear as you rub the lotion in.